On 22nd January 2014 in front of a notary in Bedizzole, a long path came to an end. The path began in September 2013 together with the members of the Association Rosa Mystica Fontanelle and its aim was the establishment of a new legal reality, both in the civil and canonical order, which could take over the management of the moveable and immovable property accumulated in the last decades near the place of worship at Fontanelle in Montichiari. In this regard, following the indications of the Congregation for the Doctrine of the Faith and for making ever more evident the connection with the diocesan ecclesiastical authority, the civil Association Rosa Mystica Fontanelle has been transformed into a civil Foundation, by modifying adequately its Statute and the governing bodies; at the same time, this new Foundation has been recognized also within the canonical order, by means of a special Episcopal decree, as a Foundation for Cult and Religion, under the supervision and custody of the Bishop of Brescia. As a consequence, all the assets of the previous Association have been transferred and registered in the name of the new Foundation, who has the same name of the ceased Association, that is, Foundation Rosa Mystica Fontanelle. The aims and activities of the Foundation, separate from the direct management of cult and liturgy, entrusted to an Episcopal delegate according to the indications given by a special Directory approved in 2013, can be synthetically outlined as follows: in a spirit of cooperation with the priests taking care of the worship, make all the necessary to give all pilgrims a dignified reception; grant that the worship can take place in a spirit of prayer, sacrifice and penitence; arrange suitable measures in order to prevent behaviours or actions against the public order and in the respect of the place and the persons; proceed with the storage and study of the devotional facts and testimonials which have made and make nowadays Località Fontanelle a place of Marian worship and prayer, recognizing that each final judgement in this regard is of exclusive competence of the Church, according to the canonical right and its Magistery; protect, without profit, the existing environmental features and intended use of the place called ‘Fontanelle’. 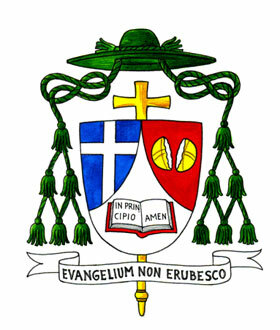 The appointment of all the members of the governing bodies of the Foundation, in compliance with the Statute in force, is under the competence of the Bishop of Brescia; for the first two mandates, in these bodies will be granted a fair representation of members who were part of the Governing Council of the ceased civil Association, as a tangible sign of gratitude for the work done by a lot of them in these last years, in service of Fontanelle in Montichiari. The aim of this further and important step, carried out for a common desire of clearness, it is not only formal and legal, although much needed: it is that of expressing even more clearly an attitude of trust and cooperation among the people involved, so that the service offered to the faithful reaching Fontanelle could concretely show the features of the ecclesiastical communion. With this decree the Bishop of Brescia, Monsignor Luciano Monari, means to define adequate regulations for the practice of the Marian worship in Località Fontanelle, Montichiari.